Food, often regarded as one of the basic needs of mankind seems to be a scarce commodity in many households in Africa. The state of malnutrition, especially in some poor rural communities, usually affects the health of children resulting in illnesses such as stunted growth, goitre, blindness and kwashiorkor. This, according to the World Health Organisation (WHO), is directly or indirectly responsible for about 3.5 million child deaths every year in Africa, a situation which is partly attributed to low vegetable and fruit intake. 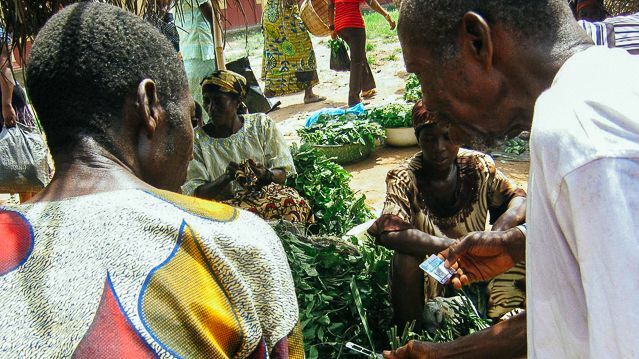 Sadly enough, global measures to reduce the menacing effects of this phenomenon on the continent appear to be towards the introduction of food supplements which are usually expensive and inaccessible to many poor households. It has therefore become necessary to explore alternatives that offer poor households cheap source of essential micro-nutrients. As part of the efforts to address the frightening impacts of hidden hunger on the African continent, several international and local institutions continue to encourage research on undervalued, neglected, and underutilised species that abound in many communities. One of such institutions is the United Nations University Institute for Natural Resources in Africa (UNU-INRA). UNU-INRA, the only UN University presently in Africa, has released two research reports that affirm the potentials of some traditional plant species in tackling malnutrition, particularly among poor populations in Africa. The first research, conducted by Dr. Muibat O. Bello, a Visiting Scholar to the Institute, reveals that the leaves of baobab tree, locust bean tree, and black plum tree contain high levels of fibre, calcium, zinc and magnesium.The study, which was carried out in Nigeria, also shows that, monkey orange fruit contains five times the iron and vitamin C of conventional fruits like orange and guava. Similarly, in the second research report, Dr. Catherine V. Nnamani, another Visiting Scholar to the Institute, affirmed that black nightshade leaves, another underutilised plant species, contain higher nutritional values among the 15 other traditional leafy vegetables in her research. Her findings indicate that the leaves of black nightshade contain higher protein values than exotic species like garden lettuce which is usually cherished and expensive in Africa. The fact is that findings such as these are potential sources for reducing malnutrition, especially among poor rural households in Africa. It is in this regard that the research reports are reiterating the need for people to consume these traditional vegetables and fruits to ensure adequate intake of micronutrients, dietary fibres and a host of essential non-nutrient substances that could help in preventing major non-communicable diseases and malnutrition in many African communities. This, in fact, is where lies the need for advocacy on these underutilised plants species in our communities in the fight against malnutrition and hunger. It is also important that health institutions and other stakeholders incorporate the use of these locally available plants into policies as an alternative nutritional supplement for poor and food insecure households. As the only UN think tank currently in Africa, UNU-INRA continues to empower African institutions and researchers to carry out relevant research, such as this one, in the area of natural resources management to inform policies for sustainable development.